Though human beings always aspire for happiness they sometimes are beset with obstacles and impediments. These are a result of bad deeds done in the past and are signified by the planets. Y surrendering to the divine forces and propitiating the deities and planets with faith and humility one is able to surmount all difficulties and achieve great success. 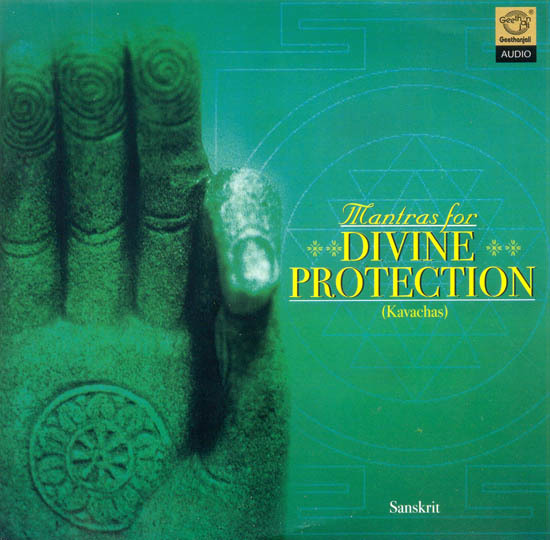 The “Kavachas” or armours are divine mantras visualized by our rishis to achieve this end. The following are they Kavachas: Sri Ucchisthra Ganapathy Kavacham, Sri Balatripura Kavacham, Sri Durga Kavacham, Sri Soorya Kavacham , Sri Soorya Kavacham , Sri Chandra Kavacham, Sri Angaraka Kavacham, Sri Buddha Kavacham, Sri Guru Kavacham, Sri Sukra Kavacham, Sri Sanaischara Kavacham, Sri Raahu Kavacham, Sri Kethu Kavacham, Sri Sudarshana Kavacham, Sri Rama Kavacham and Hanuman Mangalm recorded in this compact Disc. These are traditionally rendered by Dr. R. Thiagarajan and other Sanskrit Scholars.